A protest in favour of the EU, in London EFE. How will the UK go about leaving the EU? Will the rise of the far right continue in Europe and elsewhere? How will Bolsonaro’s Brazil act? How will armed conflicts evolve? What will happen in Syria? These are some of the questions on the international agenda for 2019. The UK has to leave the EU on March 29, 2019. More than two years after the British voted to split from the EU there are still many issuess to sort out. With PM Theresa May in a weak position, the agreement between London and Brussels must still go before the British parliament. 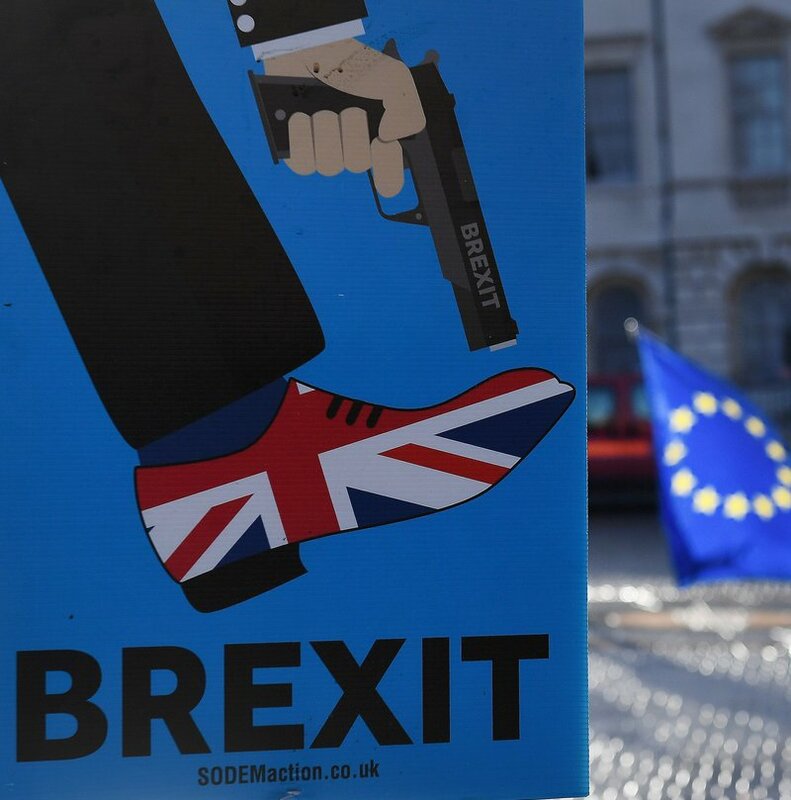 May postponed the vote until January, to win some time and some allies, but uncertainty has taken over in the run-up to Brexit, and one of the scenarios that cannot be ignored is that the UK might have to leave without an agreement in place. Some analysts point out that this option would mean setting up new migratory controls, while business between the UK and the EU would become subject to the rules of the WTO (World Trade Organisation), adding more new barriers. One of the most controversial and delicate points is the border between Ireland and Northern Ireland, which has been the great obstacle to an agreement. Setting up new border controls is seen as threatening the Good Friday peace agreement from 1998, which put an end to decades of violence. The most conservative faction in May’s party and the Unionist Democratic Party (May’s Northern Irish protestant ally), don’t want to hear about a “soft Brexit”. What’s clear is that Brexit will mark the 2019 political agenda, whether agreement is reached or not. The EU will be changed by this event, although the divorce will heavily affect the UK public, which is very divided on the matter. For his part, French president Emmanuel Macron had to give in to the “yellow vests” movement after two months of protests. Without visible leaders, and coming from the provinces, the protesters managed to force the government to step back on the policy of increasing fuel prices and raised the minimum wage. Meanwhile, in Europe (and the world), the far right continues its rise. Represented by Matteo Salvini in Italy, Marine Le Pen in France, and Viktor Orbán in Hungary, it has also found space in Spain, with Vox. European elections are in 2019, and it remains to be seen what role these Euro-sceptical parties will play. Some of these movements have already got into institutions, applying the same recipe: a tough stance against immigration and the promise of lower taxes. Another challenge the EU must face is jihadi terrorism. The attacks in European territory continue, and the security forces fear that the weakness of Islamic State (IS) in Syria – where it has lost almost all the territory it has taken since 2014 – might mean the return of its radicalised fighters to their countries of origin, especially France, Germany, Belgium and the UK. While the US adopts a more conservative strategy, Russia is flexing its muscles. Putin has announced the Avangard missile, one of the most powerful ever, according to the Kremlin. Thus, Moscow shows off at a time when relations with Washington are tense: the Syrian war and Russian meddling in US elections have created a distance between the two countries. Finally, while 2019 will be marked by Brexit and war, the humanitarian drama in the Mediterranean is also set to go on, as ever more refugees flee their countries, seeking refuge in the EU.